Craft brewers and homebrewers, rejoice! 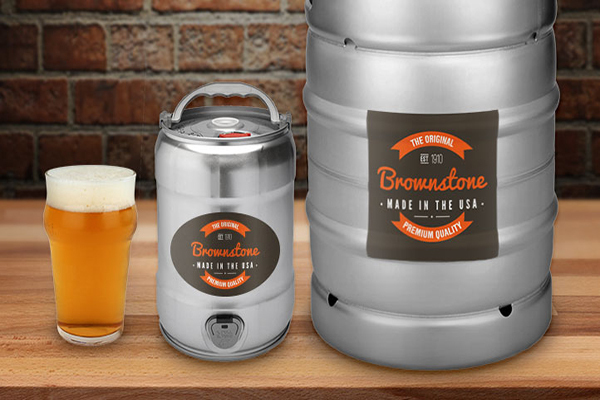 StickerYou has just the right keg labels that you need to brand your brew. If you use kegs for your batches of beer, you need quality labels that will withstand cold temperatures and moisture without falling off or ruining print quality. StickerYou keg labels are so durable that they’re waterproof and stick strongly in cold temperatures, but if you need to remove them and reuse your keg, no problem! You don’t have to worry about spending all your time trying to scrape off leftover adhesive residue. Our special vinyl material will remove cleanly from the keg surface. StickerYou also knows that sometimes you need to change dates or batch numbers on your labels, which is why our keg labels are writable. You can use a regular dry-erase marker on your StickerYou keg label and just wipe it off when you need to update your batch information. 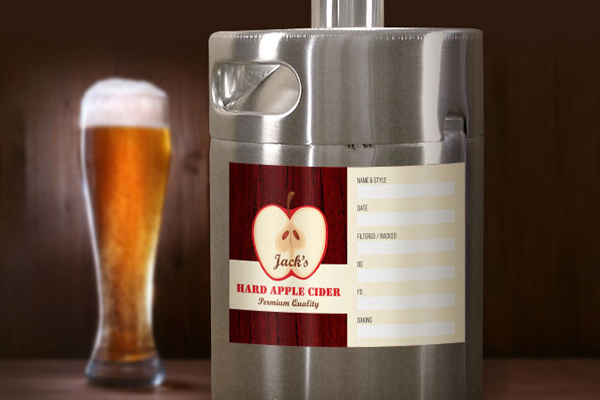 The best part about our keg labels is that they’re completely customizable to suit your brand or taste. If you already have artwork or a design, upload your image into our label editor. If you’re not quite at the stage where you have a logo or design yet, just modify one of our many great templates. Choose from label templates for a variety of keg sizes including quarter or half barrel sizes, slim, or mini kegs. StickerYou keg labels can be cut into virtually any shape, you are not restricted to ovals, circles or rectangle. Our patented die-cut technology allows StickerYou to contour cut around the exact shape of your design. There are so many options that the possibilities are endless, giving you full control over the appearance of your custom keg labels. Doing short runs or seasonal batches? No problem- StickerYou has no minimum order quantity, so we can provide as little as one custom keg label for as little as $9.99. Happy brewing from the StickerYou Crew!